Michigan International Foot & Ankle Center, July 2006, with Arthur Manoli, M.D., one of the pioneers in foot and ankle reconstruction. Top resident research award at the 2005 Detroit Academy of Orthopaedic Surgeons. 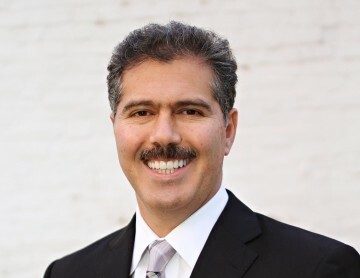 Dr. Ghalambor completed his medical training at Wayne State University School of Medicine in 2000 and orthopaedic residency training at Wayne State University Detroit Medical Center in 2005. He completed extensive fellowship training at the Michigan International Foot & Ankle Center in July 2006, with Arthur Manoli, M.D., one of the pioneers in foot and ankle reconstruction. Dr. Ghalambor also holds Bachelor of Science degrees in Aerospace Engineering and Mechanical Engineering from the University of Michigan, and a master’s degree in Mechanical Engineering/Biomechanics from Stanford University. He was the recipient of the prestigious General Motors Fellowship Award. Dr. Ghalambor began private practice in 2006, and has a practice emphasis on arthroscopic and reconstructive surgery of the foot and ankle. He has presented multiple educational seminars on foot and ankle problems, and was the recipient of a Smith & Nephew educational grant and the top resident research award at the 2005 Detroit Academy of Orthopaedic Surgeons. Professional memberships include the American Academy of Orthopaedic Surgeons, the American Orthopaedic Foot and Ankle Society, the California Orthopaedic Association, and the Western Orthopaedic Association. Dr. Ghalambor is an avid sports participant in soccer and tennis. My Medical Assistant, Erin, is available to assist you with questions relating to your care and help you fill your prescriptions.